REHMA creates products focused on South Asian languages, heritage, and culture. 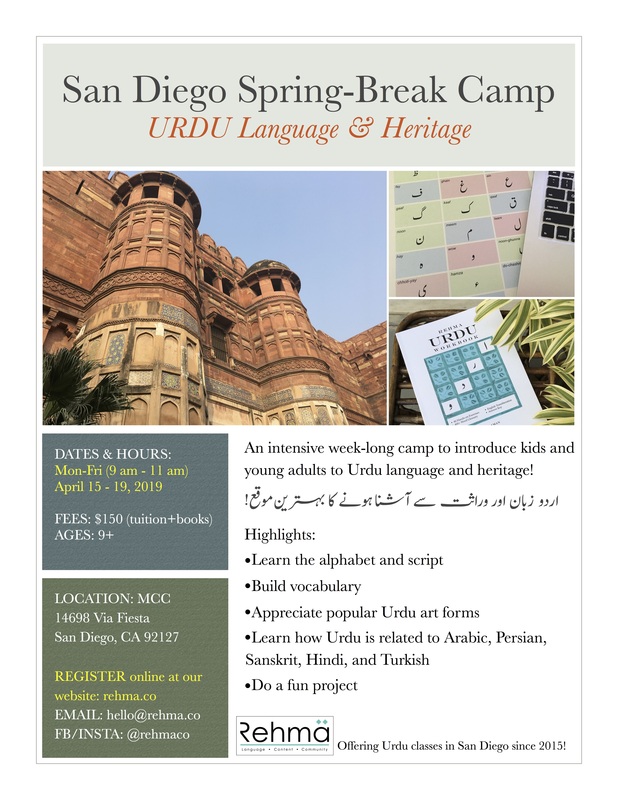 This camp will be from Apr 15-19, 2019. Click here to register. Registration is now closed for the academic year 2018-2019. Please join our mailing list to get updates from us! Copyright (c) 2018, REHMA. All rights reserved.